New year, new you, right? It’s that time of year again where we all swear blindly that we’re going to drink less alcohol, lose 2 stone, and go to the gym AT LEAST 3 times a week. But how long does anyone actually keep these promises to themselves? Not long, apparently. It’s the 6th of January, and already the appeal of the leftover Christmas chocolates is starting to grow. 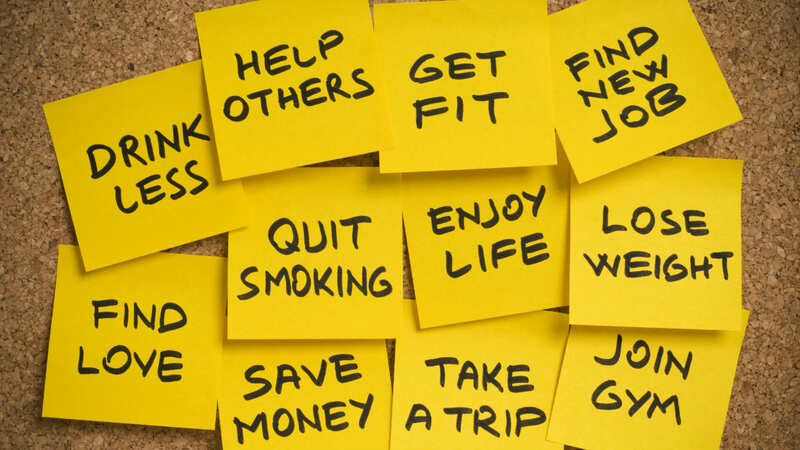 Getting fit, losing weight and being more organised all topped the list of most common New Year’s resolutions for 2014. But a study by British psychologist Richard Wiseman suggests that about 88% of us will break our resolutions at some point before the year is out. Research says that we’re trying to do too much, and our poor over-worked brains can’t cope. By overloading our pre-frontal cortex with so many rules and restrictions, we’re actually lowering our ability to self-regulate. Hence, the inflated allure of that tin of Quality Street. So maybe we need to break things down a bit, and just keep it simple. For most people, going to the gym every day is unrealistic. We have work, uni, a social life, and honestly, sometimes we just can’t be bothered. And that’s OK – we shouldn’t beat ourselves up about being human. Instead of feeling guilty about not working out every day, aim to put aside about 2 hours a week for exercise. No one is too busy to find 2 hours. It doesn’t matter how you spend it – whether you fit in a 20 minute jog every day, join a class at the gym or even do a fitness DVD in your living room a couple of times a week – you’ll feel better for it. As the saying goes, you get fit in the gym but you lose weight in the kitchen (or something like that). Small changes make a huge difference when it comes to food and it’s important not to deprive yourself. Starving yourself will just lead to sugar cravings and when you inevitably cave in; your body will immediately store all that sugar as fat. Swapping your daily sandwich from white bread to wholewheat, frozen yoghurt instead of ice-cream, nuts instead of crisps – all of these things will slowly start to make a difference without feeling like you’re missing out, and without any food guilt. Getting organised is easier said than done, and it usually starts off well. You write lists and you swear to meet every deadline with time to spare, until the novelty wears off and you slip back into your old ways. It’s impossible to keep on top of everything, but if there’s one thing every unorganised person should do this year, it’s take control of their digital life. There’s nothing worse than your laptop crashing and you losing everything – photos, films, that report you’ve spent a week writing. Installing a free, peer-to-peer, online backup program like BuddyBackup allows you to securely back up files to your “buddies” (anyone from friends and family, to your second PC). That way, the things that are most important to you – last semester’s projects or your financial records from 2013 – will be protected in the year ahead. You are currently browsing the BuddyBackup Blog blog archives for January, 2014.